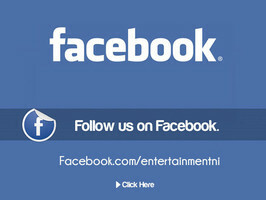 Entertainment NI provides the professional entertainment you require for any event, from a Wedding & Party DJ Belfast to Race Night fundraisers in Lisburn, from kids discos in Bangor to Live Bands in Armagh. Our Mobile Disco Belfast services include DJ hire, Karaoke hire, Photobooth & Selfie Mirror Hire, Live Band, Quiz nights, Race Nights, Bingo Nights and party games. We provide all the relevant professional equipment along with our expertise to make your event nothing but a success. We started out with a professional Wedding DJ hire service in Belfast and as our reputation for professional entertainment grew, so did our client base as we expanded our coverage not only to the rest of County Down and Antrim but also now provide professional Wedding DJ service throughout Northern Ireland. We now regularly provide bespoke DJ entertainment packages as far as Comber, Carrickfergus, Downpatrick, Enniskillen, Newry, Banbridge, Templepatrick, Lisburn and Ballymena to name only but a few. Now not only are we one of the most reliable Wedding & Party DJ services in the province but we also provide exceptional additional entertainment such as karaoke hire, race nights, bingo and quiz nights. Please fill out the form below for a quotation for your wedding or event. Our DJ hire services include everything from discos for elegant Weddings & engagement events to any party, Birthdays, retirements & graduations. We can also provide daytime entertainment such as kids discos and christenings. Karaoke DJ Hire is another speciality of ours and can be booked separately or along with any package.Need a Party DJ Belfast, Bangor or anywhere in NI – Contact is today. Not only do we provide professional private entertainment in Bars & Hotels but we can bring the party to your own home for house parties,family gatherings and Hen parties. Kids discos & school discos can also be provided during both daytime and in the evenings. We also have fundraiser entertainment such as racenights, quiz nights and Bingo nights that may be also used for other private functions. Bar entertainment such as quiz nights & bingo nights can also be provided and DJ residencies can be organised a well as a one off booking. Sound equipment and background music is also available for outdoor events such as community events and fun days. Get in touch for a professional entertainment quotation at your next party or event. Send us music requests prior to your event via our dedicated online music database. Pay your deposit or balance quickly and safely online using a credit or debit card. Although our DJ services started out covering Belfast and County Antrim we now regularly provide Wedding and Party DJs throughout Northern Ireland. Some popular Wedding venues we have regularly worked with providing professional DJ & Disco hire include Marine Court Hotel Bangor, Clandeboye Lodge Hotel, Old Inn Crawfordsburn, Templeton Hotel, Templepatrick, La Mon Resort Castlereagh, Stormont Hotel Dundonald, Culloden Hotel Holywood, Rosspark hotel, Ballymena and Belfast Castle to name a few. Antrim, Ballymena, Banbridge, Bangor, Belfast, Carrickfergus, Comber, Crawfordsburn, Donaghadee, Downpatrick, Dundonald, Groomsport, Holywood, Larne, Lisburn, Newcastle, Newry, Newtownabbey, Newtownards, Templepatrick – Not just a Mobile disco Belfast – We provide a professional service in all of County Down & County Antrim. 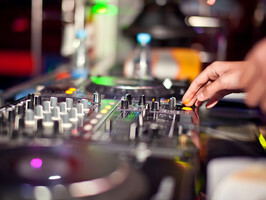 Book your professional wedding and Party DJ Belfast, Bangor or anywhere in NI today.